There's only one upon this earth who can lead us to the Light. Only one man with the power to take away our fears. In thirty seven minutes flat his home's built by his fire. It's made of sticks and snail-shells and shining sacred things. 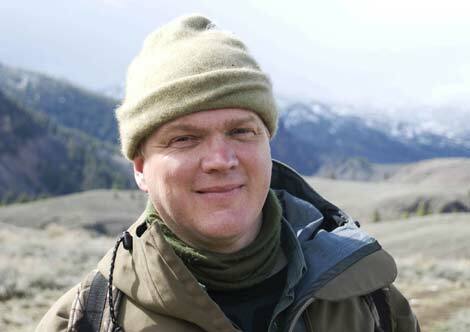 “My name's Ray Mears, the Lord of Earth. All life cheers at my mention. I alone possess the skills that ease survival tension. All men vie for my praise. Sweet Saviour of your days. I'll brew you up some birch-sap wine. I'll whittle you a staff. At your helplessness I laugh. No more than is my due. I own the body and the soul of every one of you. You will give your hearts to me.